True Heart With Pure Feelings. 20 Pink Roses- Valentine Eve..
Valentine’s Day is celebrated across the world with great pomp and show to honor the special feeling of love. The history of Valentine’s Day is associated with the Roman Empire wherein a priest, named Valentine sacrificed his life for the sake of religion and love. Since then, Valentine’s Day is being celebrated on February 14. Couples and love birds spend quality time with each other and present tokens of love in the form of Valentine’s Day gifts. Here at awesomeji.com, we make it easy for you in celebrating your love on this special occasion. 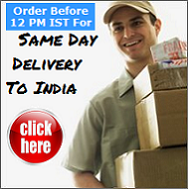 You can send exquisite Valentine’s Day presents online to Pune by using our cheap delivery facility. This segment lets you convey your love and affection for your sweetheart in a special way. A wide range of gifts is listed on our website, from where you can buy/order cheap Valentine’s Day gifts for India delivery. Make your selection and send Valentine’s Day gifts to Pune and its nearby cities, namely, Thane, Kolhapur, Solapur, Aurangabad, Mumbai, Nasik, and Nagpur, at cheap prices. Sending Valentines Day gifts to Pune (India) is easy now! Buy/order and send Valentines Day gifts to Pune online with awesomeji.com and get free delivery.